Again, VOCALMENTE will involve all the City! The idea is to bring the a cappella music in every corner of Fossano. What we are trying to promote is the active participation of the citizens of Fossano. The support of citizenship in times like these is fundamental and it’s in this context that the idea of Acappella Casa (Aca Casa) is born! The initiative includes the involvement of citizens who want to give the free availability to host artists, singers or students who will be here in August for the new edition of VOCALMENTE! Aca Casa is an invitation: discover and share the beauty of VOCALMENTE and the city where the festival was born! If you are looking for hospitality, please read this informative note and contact us at this address: acacasa@vocalmente.net. NOTE: if you already took advantage of the Aca Casa initiative in the previous editions of the Festival and you want to do it again, please DO NOT contact the family that hosted you directly, but please write to the above address anyway. Thank you. VOCALMENTE is affiliated with Palazzo Righini, Hotel Romanisio, Dama Hotel and Hostello. 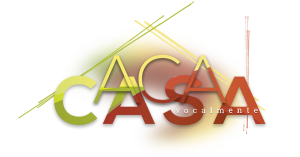 To know the rates reserved to Vocalmente Academy and VocalMentor participants write to acacasa@vocalmente.net. The tourist reception office is situated in the eastern tower of the Acaja Castle of Fossano, in Piazza Castello. It welcomes and informs participants and tourists and it contributes to organising events and tours to promote the area and its treasures. You can contact the Tourist Office to receive detailed information about hotels and restaurants. The office is opened: from Wednesday to Thursday, from 10.00 to 13.00 and from 14.00 to 17.00; from Friday to Sunday, from 10.00 to 13.00 and from 14.00 to 18.00.